If you are into some business where you have to use Google search randomly, many times you must have experienced that Google after a while does not allows you to search and give a message that Google has interpreted that your system is sending automated queries and hence it need to block the service. Only way to overcome it and continue searching is by using CAPTCHA. However, for professionals like you who need to use Google search every moment simply cannot type the CAPTCHA ever time they would be searching. Hence you need some other way out for overcoming this problem. Generally, for communication with the web server with the system at your place you use Proxy servers. They act as the intermediary between your computer or any end point device and the server from where the client is requesting some service. When you fetch any information from the internet through the proxy server, then the traffic routed from the web server would seem to come from the proxy server and not your computer. 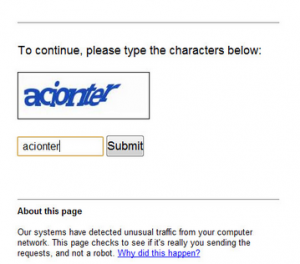 Now, when you are fetching so much data from the internet at a stretch through Google, it would consider that the data fetched are automated and not by any human.If at one time or short time the same IP request lots of search, they need proof of your being human, thus asking for Captcha Code. 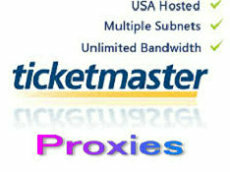 Public Proxy servers — Proxy servers that are free and allow many connections at the same time are Public Proxy servers. You can get both Socks servers and HTTP servers for using them as the public proxy server. However, they are very unstable and as there is much traffic, the speed of your internet also gets reduced at certain time. Moreover, many times you may be transmitting some sensitive information and you have to trust the owners for this. Although they are free they are not safe. On the other hand, private proxy servers are not open for the public and you need to pay a fee for accessing it. Generally they are run by good companies and hence they are reliable too. Hence, when you use public proxy for all this purposes Google would not allow you to continue your work. Hence, for using the different services of Google it’s always recommended to use private proxy servers. For an SEO professional like you, speed is all that speaks at the end of day and Google banning the resources would not give you speed, Thus, for continuing your work, use Google Private proxies that would let Google understand that you are human and allow you to work faster.